LoveyLoaves is a 501(c)3 special needs dog rescue, sanctuary, and pet wellness organization operated by Ward and Cheri Wells of Orlando, FL along with a team of foster homes and volunteers. Donations are crucial to our rescue and are necessary to provide veterinary care and rehabilitation for the health and well being of special needs dogs. Please consider donating today. Often, dogs need a safe place to lay their head while they wait for the perfect forever home to come along. Learn how (and why you should) to temporarily open your heart and home to a special needs dog. Our ultimate goal is to open a special needs dog Sanctuary where we can house, rehabilitate, and rehome dogs in need of specialized care. 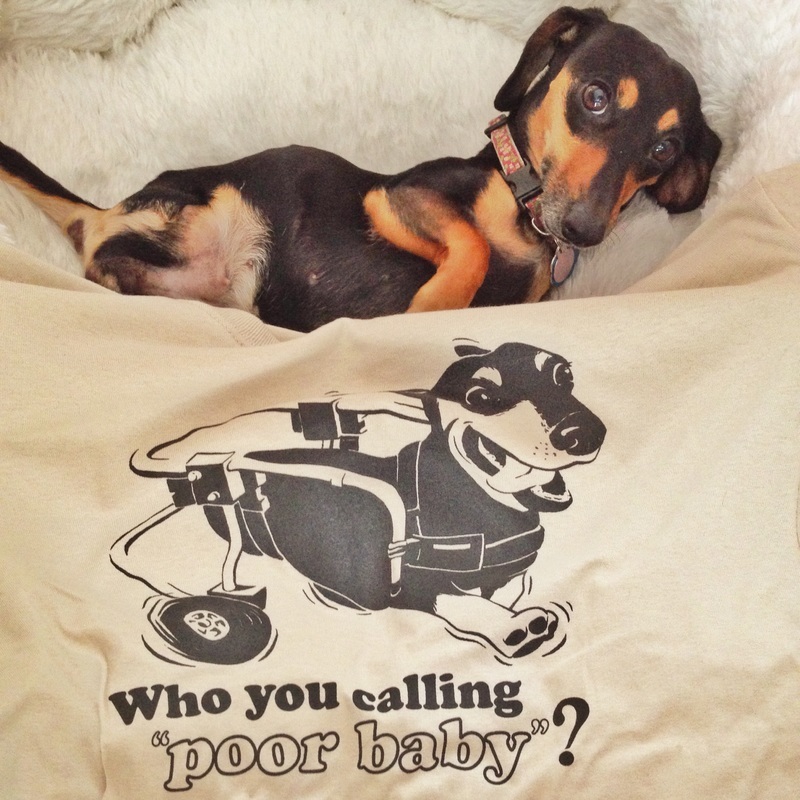 Get your gear here, and support the special needs dogs of LoveyLoaves. Many of our rescues require continual veterinary / rehabilitative care. Give the gift of health and wellness to a specific LoveyLoaves dog in need.